As 2012 comes to a close, Boucher’s Automotive would like to thank all of its customers for their continued business. 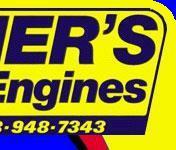 Winter is upon the racing community in the northeast and Boucher’s Automotive is ready to support your offseason needs in preparation for the upcoming season. 2013 looks to be a big year for racing in New England with the addition of a National Open and National Event to join the Divisional Event already in place. 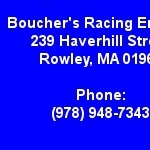 As racing is being revamped in the Northeast, Boucher’s Automotive wants to wish all of its customers luck in striving to achieve their 2013 goals. Lastly, Boucher’s Automotive would also like to take this opportunity to recognize some of the major customer accomplishments achieved during the past year.